DUBAI – People who have violated their stay in the United Arab Emirates (UAE) and are now seeking the UAE amnesty programme will no longer enjoy the six-month job-seekers visa scheme because it ended December 31. According to local media, the amnesty programme, which was extended twice before finally ending on December 31, 2018 allowed violators to modify their residency status by getting a new-sponsored valid visa or applying for a six-month temporary employment visa. An official at a branch of Amer centre in Dubai told Khaleej Times that the six-month visa was only available for violators during the amnesty period. “Only those who committed visa violations before August 1 were granted that option. The visa scheme neither includes visa violators after the mentioned date nor unemployed residents seeking a new job,” the official said. The programme was only applicable to persons with visa violations before August 1, 2018 as part of the of amnesty programme that the UAE Government ran from August 1 to December 31. The aim was to give individuals the opportunity to legalise their status or leave the country without paying overstaying fines. The local daily reports that in June 2018, UAE Cabinet announced major changes and new visa facilitation procedures for visitors, residents, families and people overstaying their visas. Among them was the decision to introduce a new six-month visa for job seekers who overstayed their visa but wish to work in the country. 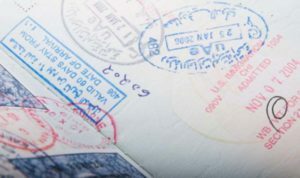 Under the new legislation, the government will also grant people overstaying their visa a chance to leave the country voluntarily without a “no entry” passport stamp if they provide a valid return ticket. Individuals will also be able to adjust or renew their visa for a fee without having to leave and re-enter the country soon. As unemployment bites in the country, thousands of Ugandans find their way to the Middle East, where they do odd jobs ranging from being housemaids to porters and watchmen, among others. Apart from a few registered companies, a number of individuals and unregistered companies deal in the export of labour to the Middle East. Young men and women are smuggled into the Arab world, especially those intending to work as housemaids, and many of them on visit/tourist visas but with the aim of looking for work. Many end up in great trouble with the law, and others have lost their lives on the hands of wrong people in the name of employers.